AIM Mechanical Services, LLC has built a solid reputation serving the tri-state area over the past 10+ years, specializing in the on-site maintenance, repair, overhaul, and installation of critical, high-speed rotating & reciprocating equipment in the petrochemical and power generating industries. 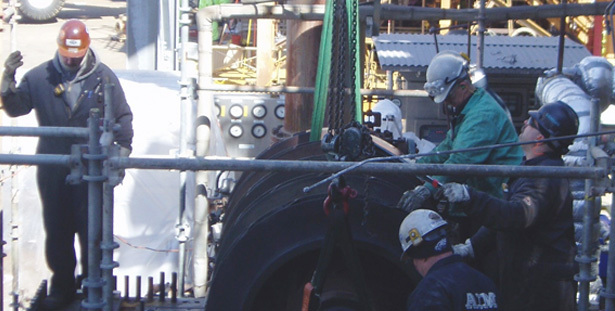 Our full-service repair facility in Lester, PA provides efficient and cost-effective solutions to the overhaul and repairs on a wide variety of rotating equipment. The management and employees of AIM Mechanical are committed to maintaining our goal of achieving “zero” injuries and incidents. We are a long-term subscriber of ISNetworld; all employees possess TWIC, attend ongoing OSHA process safety management training, and subscibe to third party substance abuse programs.